Graceful, lovely, unique but totally not my thing. 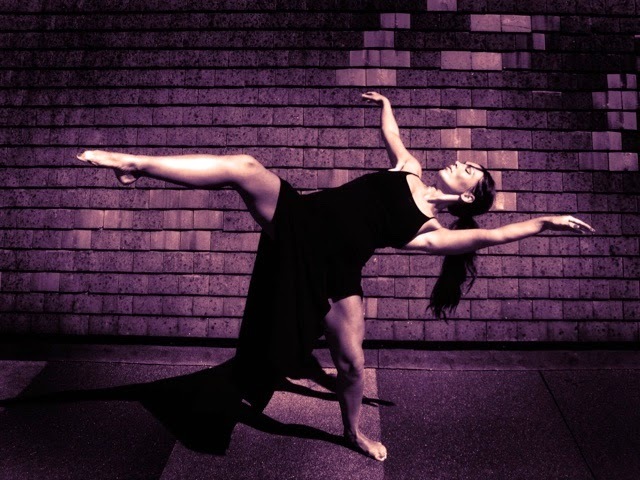 I appreciate it, I admire those dancers for being brave and gutsy and free, but that style is not for me. 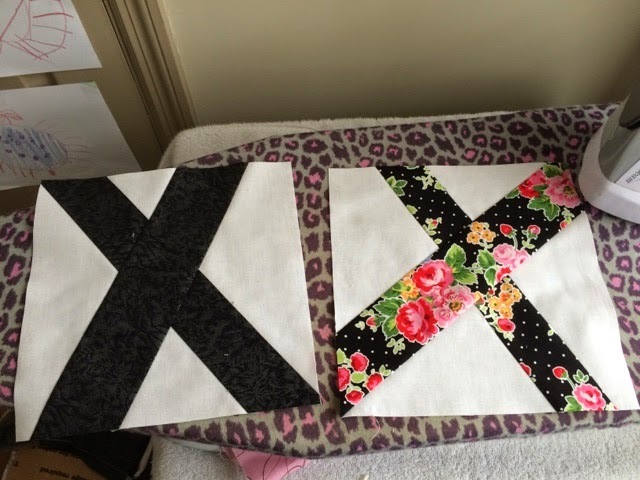 Improv quilting is not for me, I need rhyme and reason. 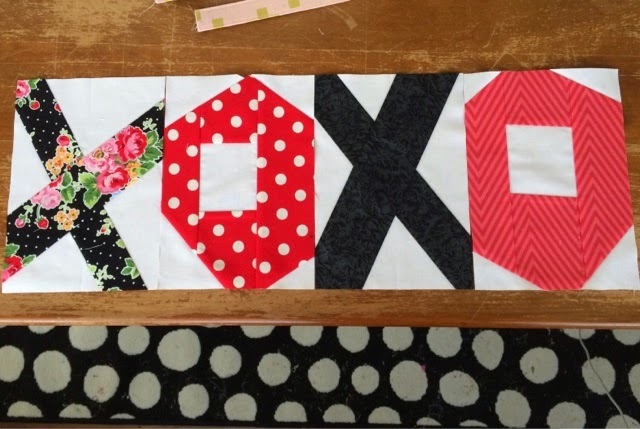 I can only express myself by refusing to make quilts entirely out of one line of fabric. 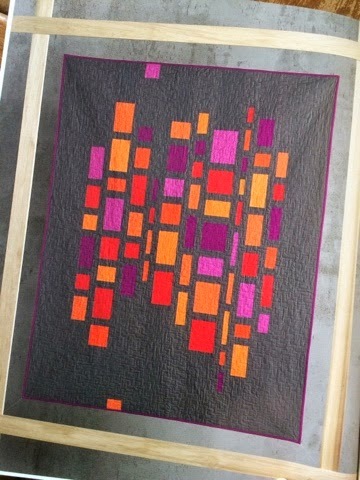 Mixing fabrics, designers, prints and colors is my expressive dance in quilting! 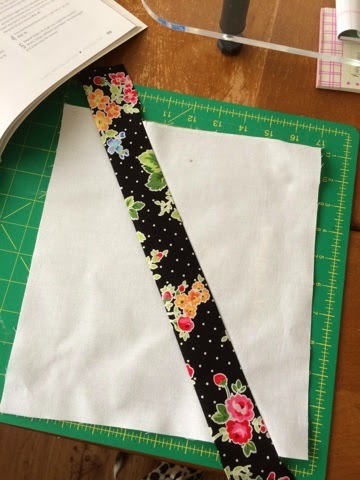 I am not a stage galloper, an arm waver, an improv quilter. No way no how. 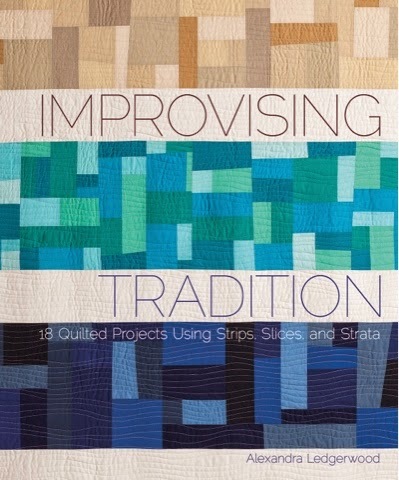 Well then this book landed in my mailbox and I was all "Eeewww, Improv Quilting, what the heck?" I turned the pages hoping to find that one quilt in the book that proved me to be right, that one quilt that screamed out "I am EXPRESSIVE! And FREE! I AM IMPROOOOOOV!" 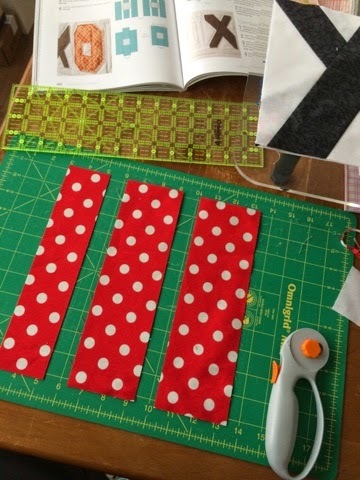 but they all just sat there in the book, quietly, waiting for me to realize that I was letting my preconceived notions of this form of quilting get the best of me. Oh yes, this whole book was inspiring. All 17 projects are inspiring, in fact. 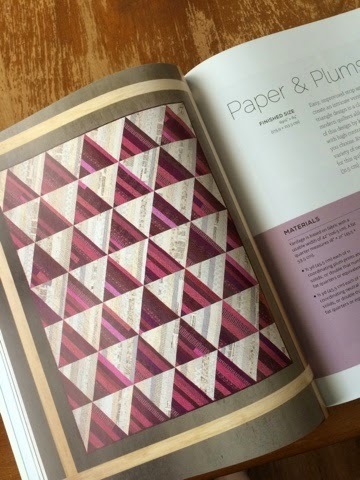 I found myself flipping through the pages because I wanted to see how they did that funky awesome herringbone thing again, or re-read the instructions on needle-turned appliqué once more. 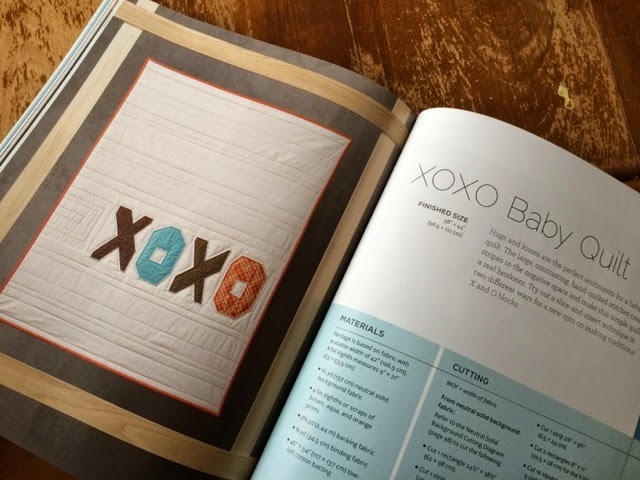 I especially kept finding myself looking again, over and over, at the XOXO Baby Quilt. 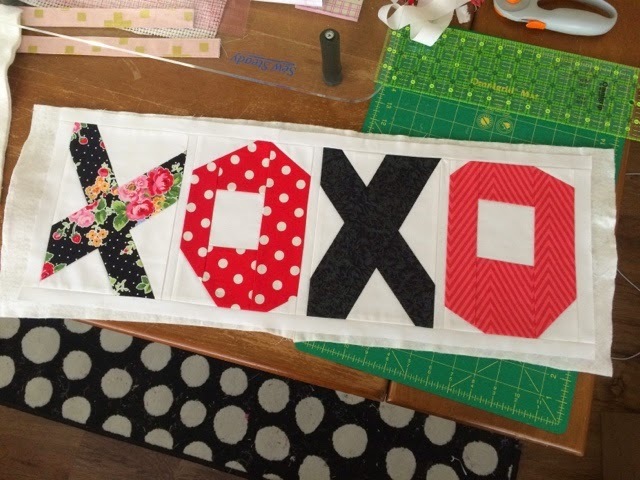 That one...THAT one was going to be the one that kicks off my improv quilting love affair. I had to make it, so one afternoon, I did. If you've read my "About Me", you know I make lists. I'm never without a to-do list and for the last two years, making a mini quilt for my friend Katherine has been on that list. 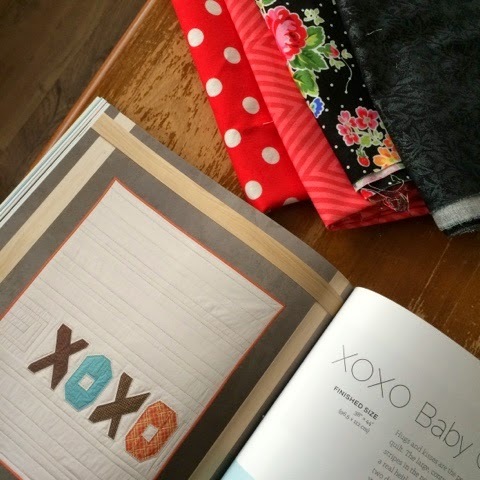 I decided to turn the XOXO Baby Quilt into a mini quilt for her. Can I just tell you how much fun the improv process is? There are no rules, no one is looking over your shoulder and saying "You're doing that wrong." because you get to create as you go. The beauty of it is that you get to make something with guidelines, you have the general idea for the end result in your head, and if you're good at being a one-step ahead thinker, you will love this process. I know my perception of this type of quilting has permanently changed. I think they should stop calling it "Improv Quilting" and they should call it instead, "Choose Your Own Adventure Quilting", don't you? 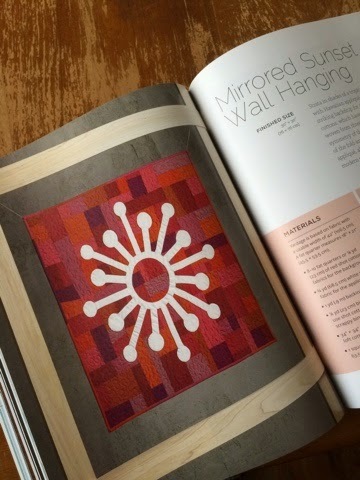 You can find this book in the InterWeave online store by clicking here. Visit the author, Alexandra Ledgerwood, on her website here. Still get a kick out of this review. :) thanks so much for sharing. 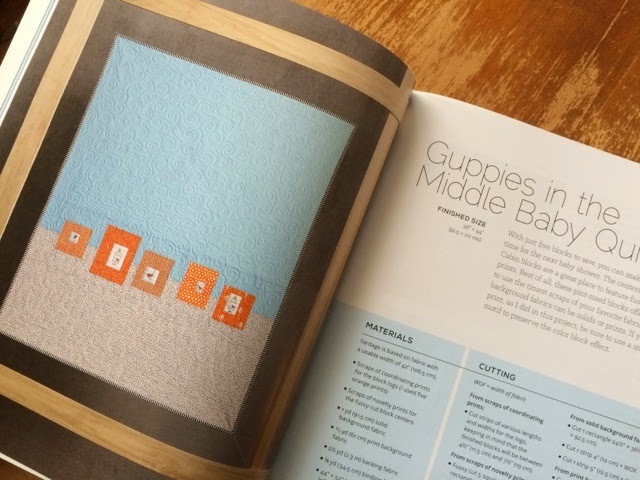 Would you be willing to let me share your project in an upcoming blog post on project people have made from the book?